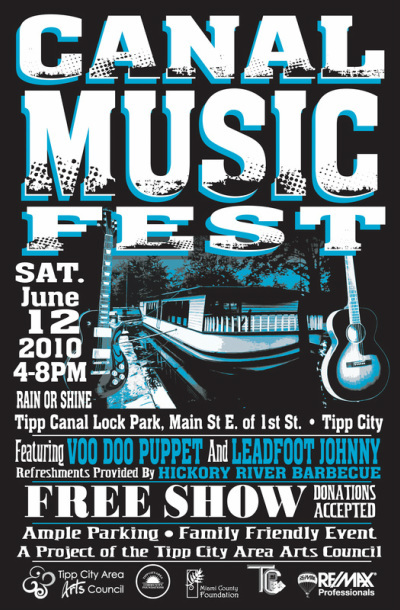 The first Canal Music Fest was held on June 12, 2010, at Canal Lock Park in Tipp City, Ohio. Despite being 85° with 82% humidity, a crowd of roughly two-hundred people braved the heat to come out and listen to "Leadfoot Johnny" and "Voodoo Puppet". In 2010, we had a single food vendor—Hickory River Smokehouse.